The Terraces located in Kanatal - Uttaranchal, just 300 kilometers, 6-7 hours journey by road from Delhi and 35 Km from Mussoorie towards Chamba and 77 Kms from Rishikesh on Chamba Mussoorie road, 4 kms from Goddess Surkanda Devi. Situated at an altitude of over 8,500 feet. Shilton Hotel is located in the heart of the city, 50 km from Airport and 35 Km from the Railway Station. It is well equipped to offer a comfortable stay to the Business travelers and the holidaymakers alike. Accessibility: Airport: 50KM., Bus Station: 0.1KM., Railway Station: 35KM. This is evident in summers when the city is flooded with people from all walks of life, out to experience, this paradise. And this is where Green Castle, situated in the heart of the city has already made a name for itself in the hospitality sector. Accessibility: Airport (Domestic): 55KM., Bhatta Fall: 7KM., Bus Stand: 1KM., Camel's Back Road: 3KM., Dhanolti: 25KM., Jharipani Fall: 8.5KM., Kempty Fall: 15KM., Mussoorie Lake: 6KM., Railway Station: 35KM. Accessibility: Bus Station: 26KM., Railway Station: 24KM. Connaught Castle the Victorian elegance 7000 feet up to in the himalayas offering pure relazation bright sun, monsoon mist and a white Christmas. Nestled among tall pine trees the hotel offers a unique blend of ease and lively action through the spectacular view of the himalays on one side and the mussoorie township on the other being on the mall yet away from the hustle and Bus tle you may enjoy yourself listening to the wind whistling and the birds chirping sitting admist in the misty robes of the mountains. Accessibility: Airport: 50KM., Bus Station: 2KM., Railway Station: 50KM. Nature at its most beautiful - that's Mussoorie for you. Where tall pine trees, swaying to the tune of the wind whistling through their leaves, herald your arrival, to the Dunsvirk Court which is tucked away in a quiet little corner, for all appearances, looking like an old-world palace. But inside, it boasts of all the conveniences modernity can offer. Apart from facilities for indoor games, people with a yen for the great outdoors will find a lot that is to their liking. Accessibility: Airport: 50KM., Bus Station: 1KM., Railway Station: 41KM. Kasmanda Palace Hotel is situated at an altitude of 7000 feet in the Himalayan foothills on a 3 acre estate of pine trees, sprawling lawns and terraced gardens ' all this in the heart of the city, yet away from the maddening crowds. Here you may relive the splendour of a bugone era in royal comfort. Accessibility: Airport Domestic: 55KM., Airport International: 280KM., Bus Stand: 0.5KM., City Centre: 0.5KM., Railway Station: 33KM., Shopping Centre: 0.5KM. 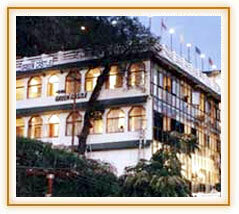 A charming hotel with cosy rooms & have all modern amenities. Ashiyana Continental is located on The Mall Road within easy reach of major attractions. Accessibility: Airport: 50KM., Delhi: 272KM., Rail Head: 30KM. Accessibility: Airport: 35KM., Bus Stand: 5KM., Railway Station: 35KM. The Claridges Nabha is situated in amidst quiet surrondings, away from hustle Bus tle of the Mall. 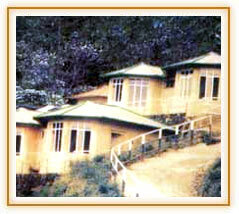 The lovely location in the lap of nature makes it the preferred accommodation option with many visitors in Mussorrie. Accessibility: Airport: 45KM., Bus Station: 4KM., Railway Station: 30KM. Warm Welcome is a tradition in India and we are taking care of Indian tradition with offering all services on finger tips at Reception. The personalized services are to achieve the ultimate standards in extended hospitality. Accessibility: Airport: 35KM., Bus Station: 0.5KM., Railway Station: 33KM. 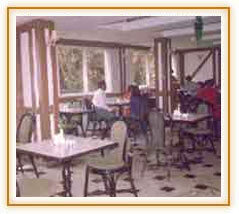 Hotel Ashoka Continental is situated in the heart of the city. It is one of the best area a panoramic view of hills and valley, most enchanting view of the Sun kissing Shivalik Peaks. Accessibility: Airport (Dom. ): 60KM., Railway Station: 34KM. Hotel Solitaire Plaza is located in the heart of the city, 50 km from Airport, 31 Km from the Railway Station and 0.5 km from Bus Stand. The hotel offers every modern comfort to make your stay pleasant. Accessibility: Airport: 50KM., Bus Station: 0.5KM., Railway Station: 31KM. Best Western Oasis Resorts is located amongst the green forests of Deodar and Oak trees with each room offering a breathtaking view of the Doon Valley. It is only 700 meters from the popular Mall Road. Oasis Resorts is a world where age-old tradition meets world-class luxury, a place where you can lose your heart and talk to the mountains. Surrender to the rejuvenating touch of peace and tranquility. Accessibility: International Airport: 300KM., Jolly Grant Airport: 60KM. Situated at a peaceful 3/4 km distance from the Mall, a stay at Hotel Hard Rock tends to make one feel satisfied with the hospitality standards one expects while on vacation. Accessibility: Bus Depot: 1KM., City Centre: 3.5KM., Delhi Ariport: 300KM., Railway Station: 35KM. Savoy Hotel is located in the heart of the city, 55 km from Airport and 32 Km from the Railway Station. It is well equipped to offer a comfortable stay to the Business travelers and the holidaymakers alike. Accessibility: Airport: 55KM., Railway Station: 32KM. Amidst this beauty, ideally located on a ridge and a few minutes walk from The Mall, shopping areas and the ropeway is hotel Padmini Niwas. As soon as you step into the hotel, you will feel the perfect blend of nature and heritage. 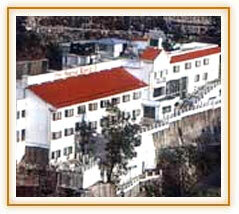 It is among the oldest buildings in Mussoorie. Originally named Rushbrooke Estate, it passed on to the Maharaja of Rajpipla who gifted this property to his wife, Maharani Padmini. 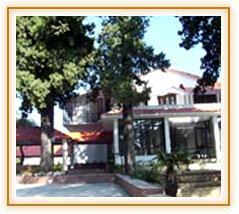 A well maintained, 150 year old heritage building offers every comfort to its guest. Accessibility: Airport (Dom. ): 60KM., Bus stand: 0.5KM., City center: 0.5KM., Railway station: 35KM. 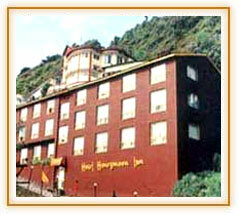 The hotel is located in the centre of the famous Mall Road of this "Queen of Hill Stations". Every room has a beautiful view of the Doon Valley, and its twinkling lights present a breathtaking visual experience, quite literally, like the diamonds on the queen's necklace. It is ideal for short vacations and weekend getaways. 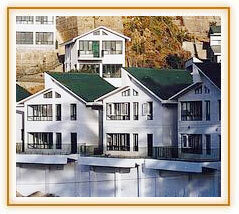 Mussoorie, the Queen of Hills is a landmark destination for patrons looking for ideal picturesque locations. It is a tourist resort with ideal climatic conditions, breath taking views and waterfalls, it typically is a holiday''s paradise, It is also renowned for its Educational Institutions, flora & fauna. Surrounded by the Snow capped Himalayas, it is also the gateway to religious shrines - Badrinath, Kedarnath, Gangotri & Yamnotri. The Avalon Resorts in Mussoorie developed by his company has the 'Gold Crown' resort accreditation by RCI and is considered the most premium among holiday resorts in the country. The daily pressures of urban life can be really exhausting. We at Avalon strive to take you through this journey, to make you feel at home. Accessibility: Airport-Domestic: 56KM., Airport-International: 295KM., Bus -Stand: 1KM., City Centre: 0.5KM., Railway Station: 36KM.